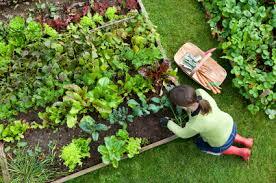 The Organic Master Gardener Course is once again being offered in Ottawa and Toronto in the Fall of 2015. This challenging course teaches students the fundamentals for growing plants for ornamental or food.The material is based on the Society for Organic Urban Land Care (SOUL) organic standards. The skills learned will add to professionals own practice or business in organic land care. Students will examine the correlation and differences in plant health, human health, soil health and environmental health. The certificate is geared towards landscapers, community gardeners, municipal parks, environmental advocates, urban growers and naturalists. Topics include, botany & adaptations within ecosystems, soil ecosystem, soil testing, mulches and compost teas/brews, garden bed installation, soil fertility management, water-wise gardening, pruning, turf, landscape health, perma-culture design and organic standards. Students will need weekly access to a computer and the internet for course materials.